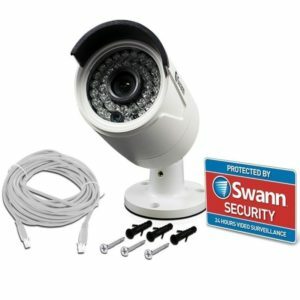 The Swann NHD-818 camera is a Super Hi-Def 4 MegaPixel (2688×1520 pixels) Bullet camera. 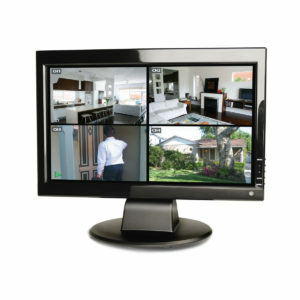 This resolution produces exceptional detail and quality of recorded image. 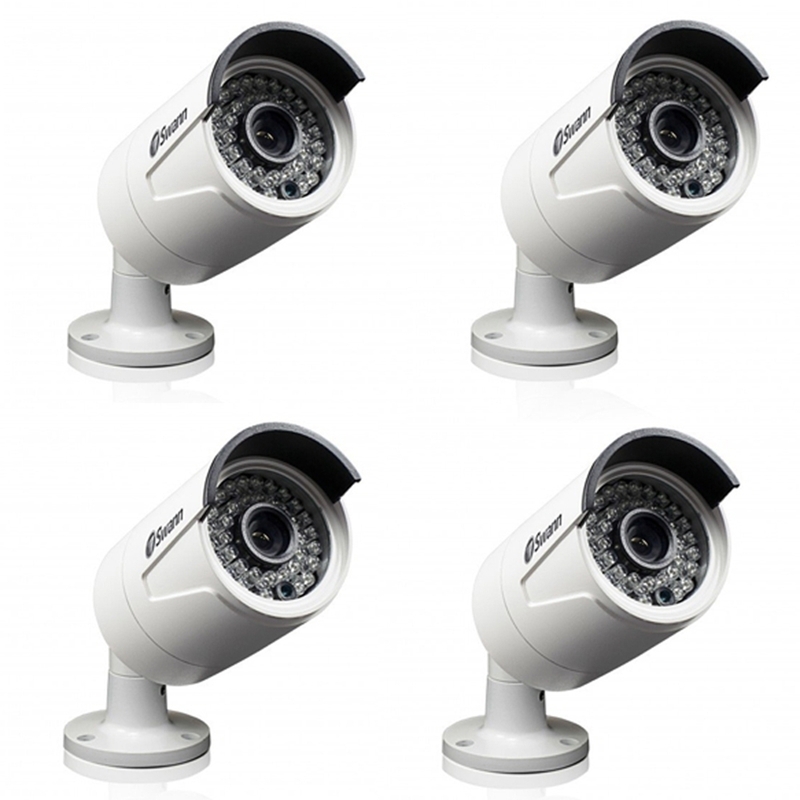 State-of-the-art security camera with outstanding 4 Megapixel Super HD video clarity. 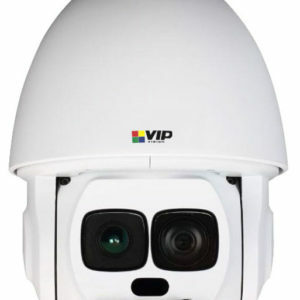 These 4MP cameras will give you up to 75% more pixels than standard 1080p & enhanced digital zoom providing close-up detail that has to be seen to be believed. 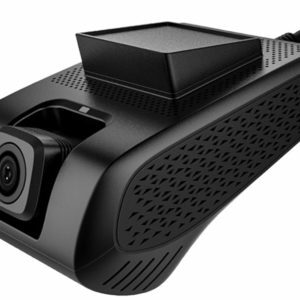 The Camera features a built-in microphone so you can see & hear what’s happening up to 5m away. 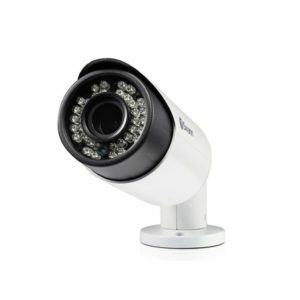 See everything during the day & night with wide 75° viewing angle & the latest infrared cut filter for amazing night vision to 30m. 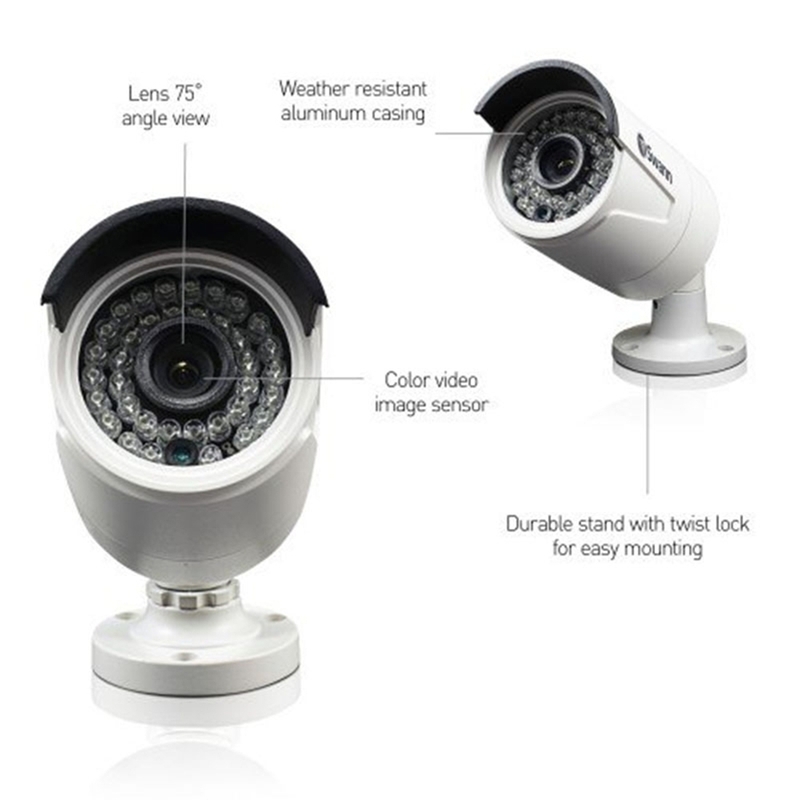 The SWNHD-818CAM is built to suit any conditions with weather resistant rating of IP66 for indoor & outdoor use. 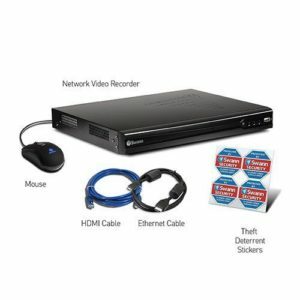 This camera can only be used in combination with Swann’s Super HD Network Video Recorders including NVR4-7400, NVR8-7400 and the NVR16-7400 for cutting-edge IP surveillance. 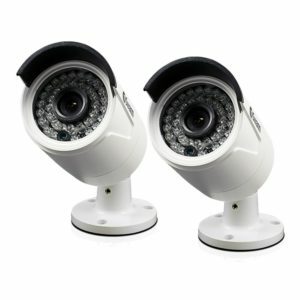 Professional surveillance camera gives you the peace of mind from being able to see the detail you need including license plates, faces, clothing colors & more, all in stunning 4 Megapixel clarity.